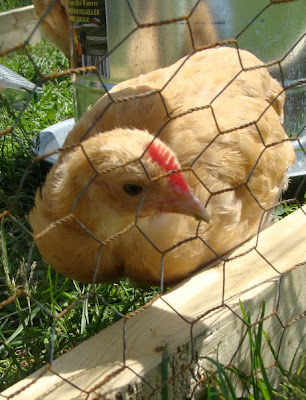 Below is the chick that my dad's wife has dubbed 'Cocky' because of our suspicions about its gender. Are we right, or is this just a fast developer compared to the rest? Mike picked up some plywood this afternoon so we're ready for the next big job, which is to convert one of the stalls in the small barn into a chicken home for these creatures. Hi Amanda .. this weather has been something else eh ? we will get some "summer" just before Autumn hits maybe ? 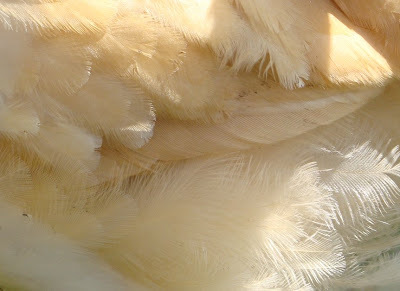 It is amazing how detailed and delicate looking the chicken feathers are .. I think we assume they are such hardy little creatures don't we ? What cuties. 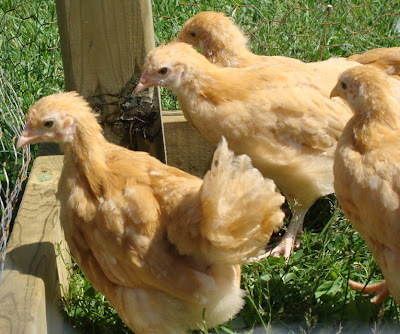 Can't wait to get ours in the fall! They look very sweet - but the odd one out is looking decidedly shifty!